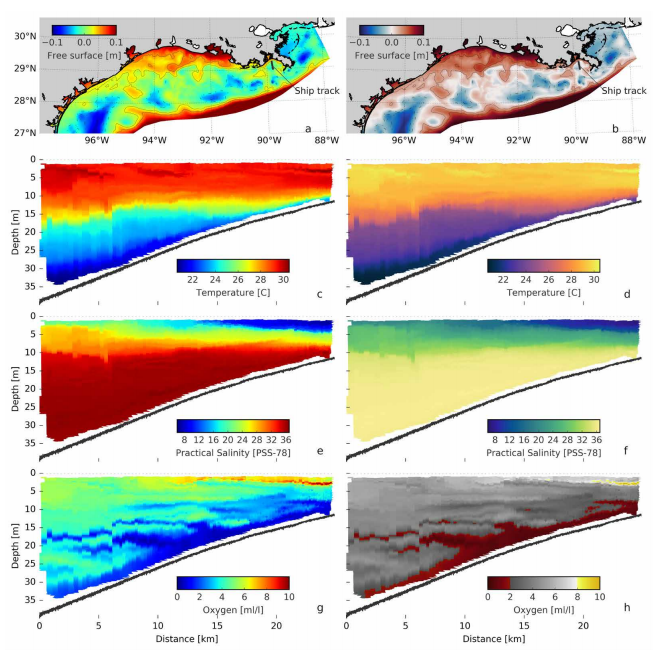 UTIG graduate research assistant Chad Greene was part of a research team from Texas to present a new paper titled “True Colors of Oceanography: Guidelines for Effective and Accurate Colormap Selection” which was published in the journal Oceanography last week. The study is aimed at getting scientists to think as seriously about color as they do about language. “The peer review process tends to scrutinize every word of a manuscript, because the subtle implications of language can lead to misinterpretation of the underlying science, however, the colors we use to convey information see very little scrutiny. If a figure is worth a thousand words, what we want scientists to start asking is, ‘are we using the right words?’ ” asks Greene. The research group notes that there exists a double standard in research, where language which is perfectly accurate, can still be called out by a reviewer for not being scientific enough, whereas inaccuracies in figures run rampant. The scientific community tends to think of color as a mere artistic choice of no scientific consequence. 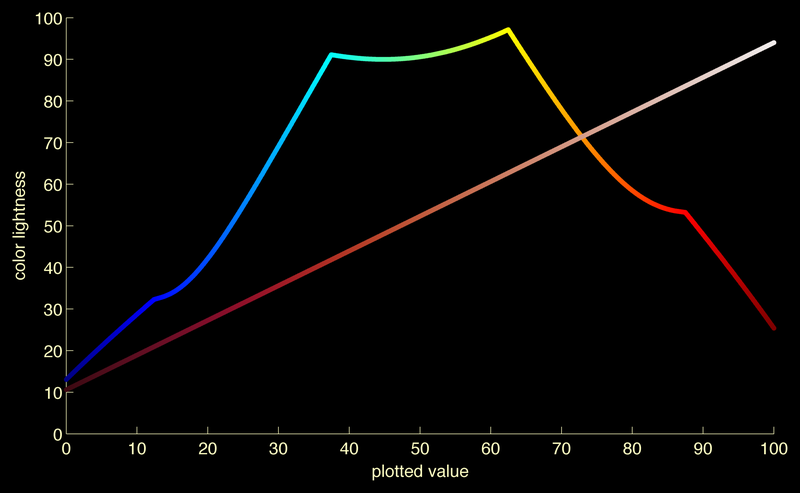 “We argue that if a figure is essential to communicating the ideas in a manuscript, and if the figure contains numeric values that get represented as color, then scientists need to make sure those colors are just as accurate as the language in the rest of the manuscript,” explains Greene. Inaccuracies exist wherever the perceived color doesn’t directly map to the data it represents. Some commonly-used colormaps, typically the rainbow-based “jet” colormap, mismatch the data mapping with how our eyes perceive the colors, leading to visual confusion. The study delves into the human perception of color to create a suite of more accurate colormaps for plotting different data. For example, linearly increasing sequential data can be represented with a simple, single-hue colormap that goes from dark to light or light to dark.